Any comments containing inappropriate language will not be saved. 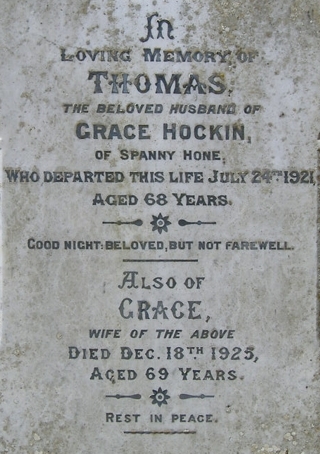 When did Thomas Hockin die? Your coments will be stored with the Gravestone Photographic Resource system so that other people can view them. If you give an email address it will NOT be displayed on the website but just used by a website form if someone wishes to contact you. It will NOT be used for any other purpose.